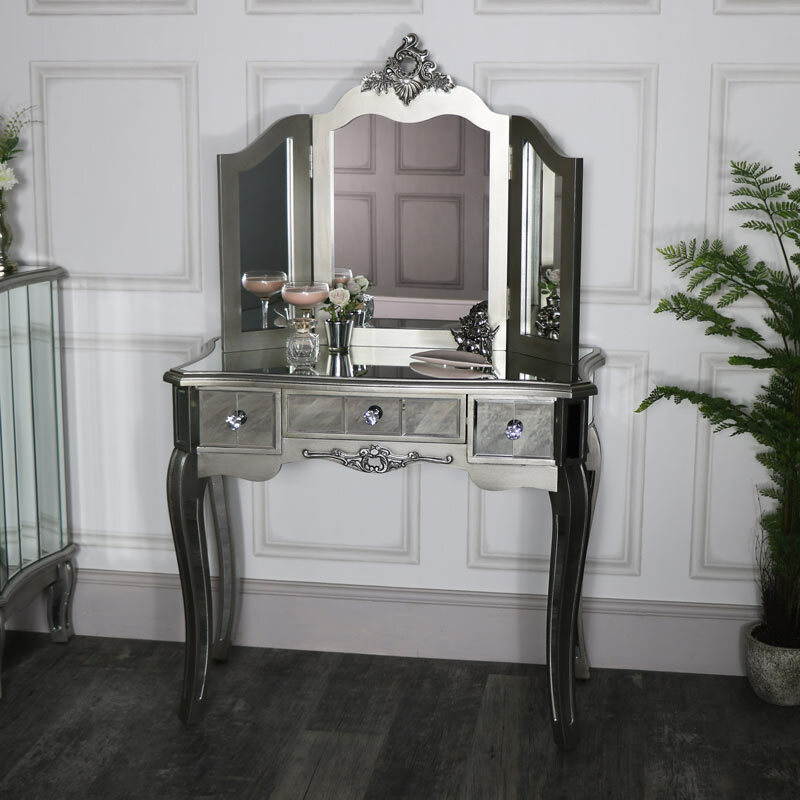 This dressing table and table top vanity mirror are part of our ornate French style Tiffany Range. 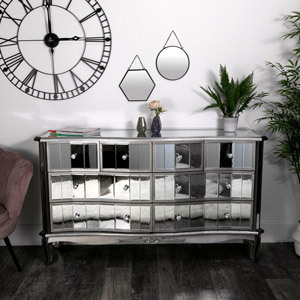 Each piece has bevelled mirrored panelling, a painted silver finish and glamorous crystal handles. 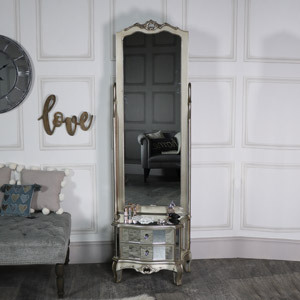 This set will be perfect for adding an elegant, vintage French style look to a bedroom or dressing room. In a mirrored design, with bevelling, to create a visually stunning effect. This set will fit in quite easily with most colour schemes. 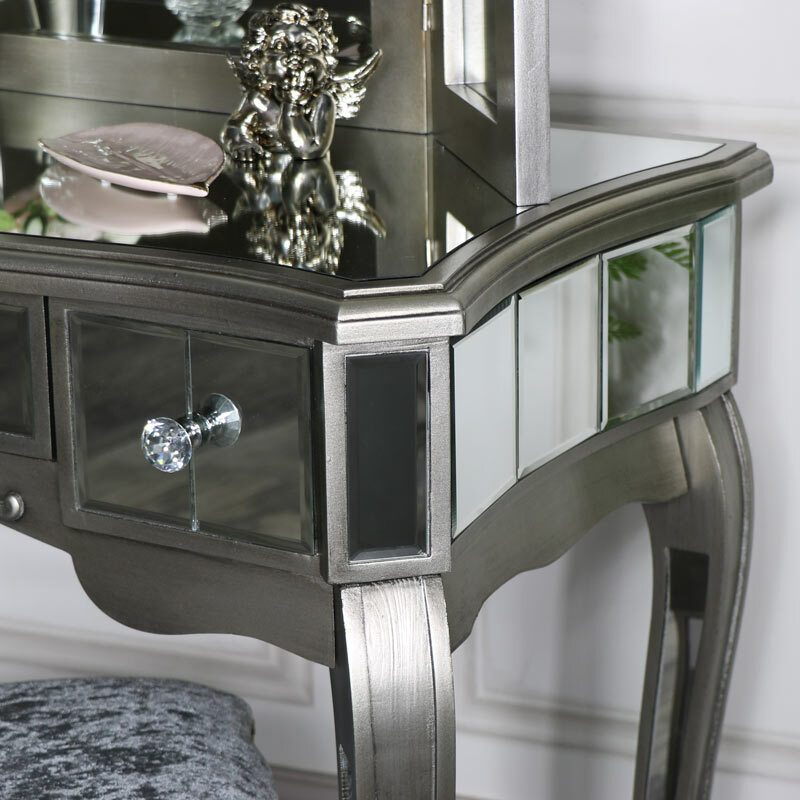 The dressing table comes with 1 drawer storage, the mirrored panelling highlights the antiqued silver paintwork beautifully. 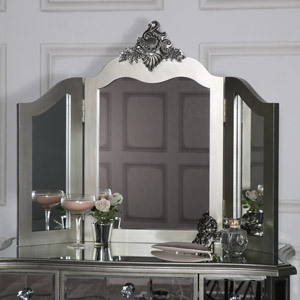 The vanity mirror, in a triple design sits comfortably on top of the table allowing you to get ready in elegant style. 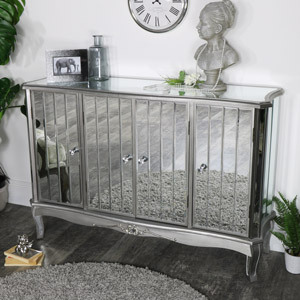 With even more furniture available in our wonderful Tiffany Range. You can fully furnish your home from top to bottom with furniture for your bedroom, living room and hallway. 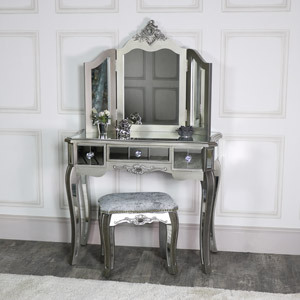 This dressing table and table top vanity mirror are part of our ornate French style Tiffany Range. 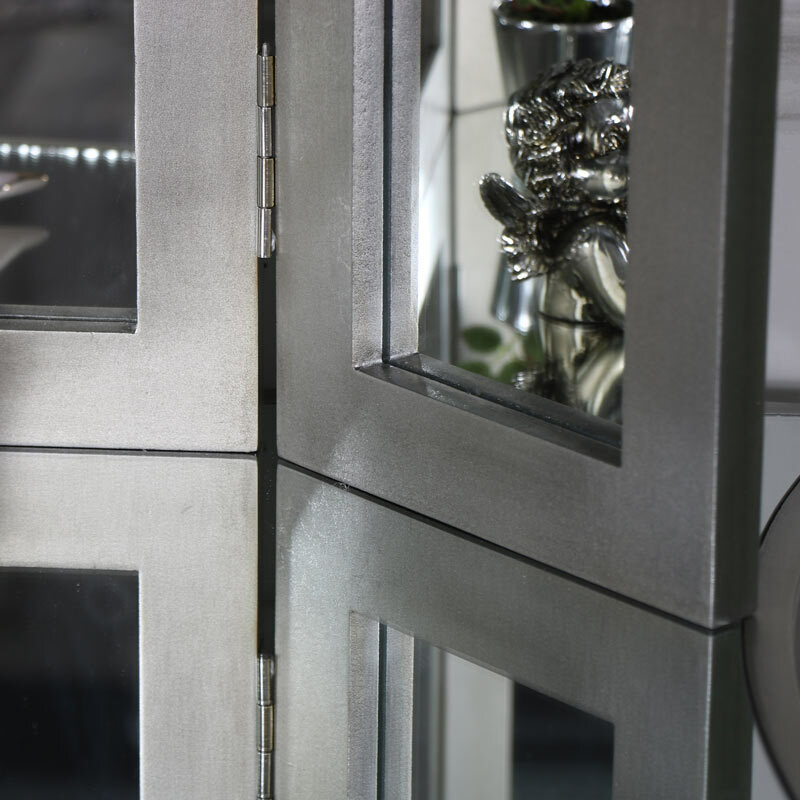 Each piece has bevelled mirrored panelling, a painted silver finish and glamorous crystal handles. 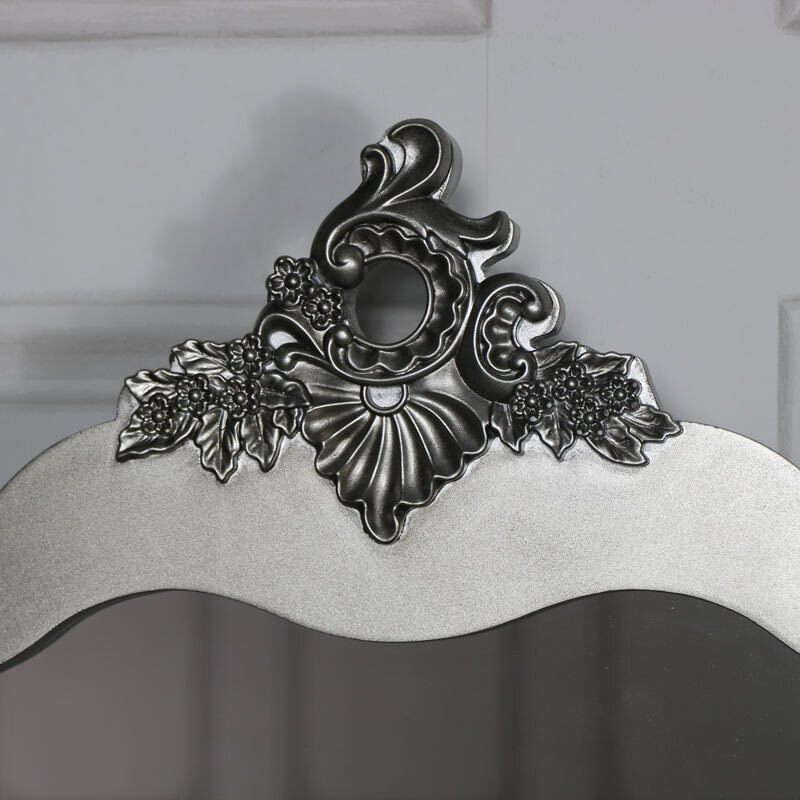 This set will be perfect for adding an elegant, vintage French style look to a bedroom or dressing room. In a mirrored design, with bevelling, to create a visually stunning effect. This set will fit in quite easily with most colour schemes. 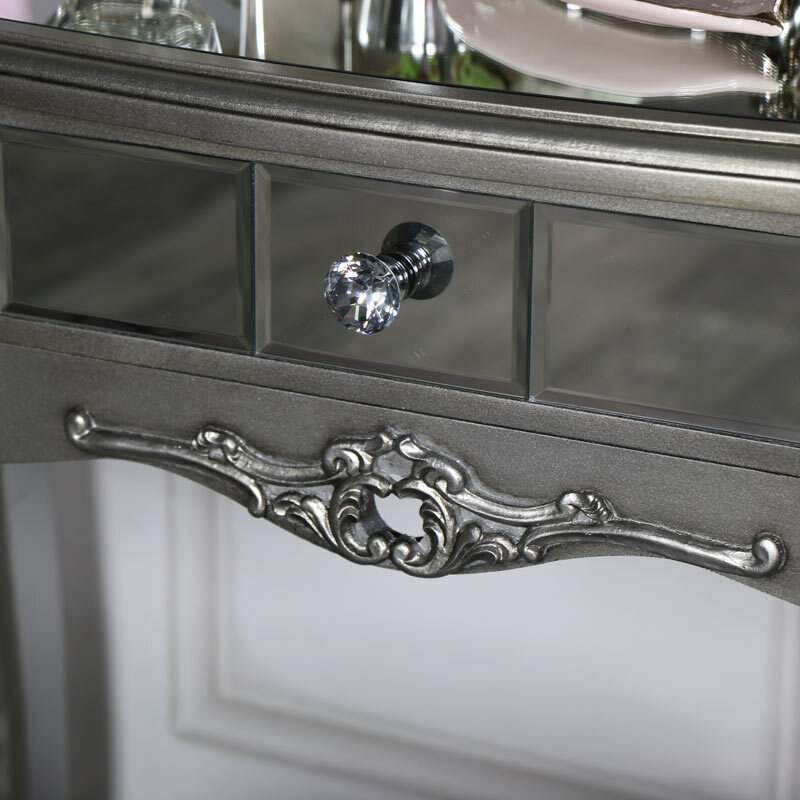 The dressing table comes with 1 drawer storage, the mirrored panelling highlights the antiqued silver paintwork beautifully. 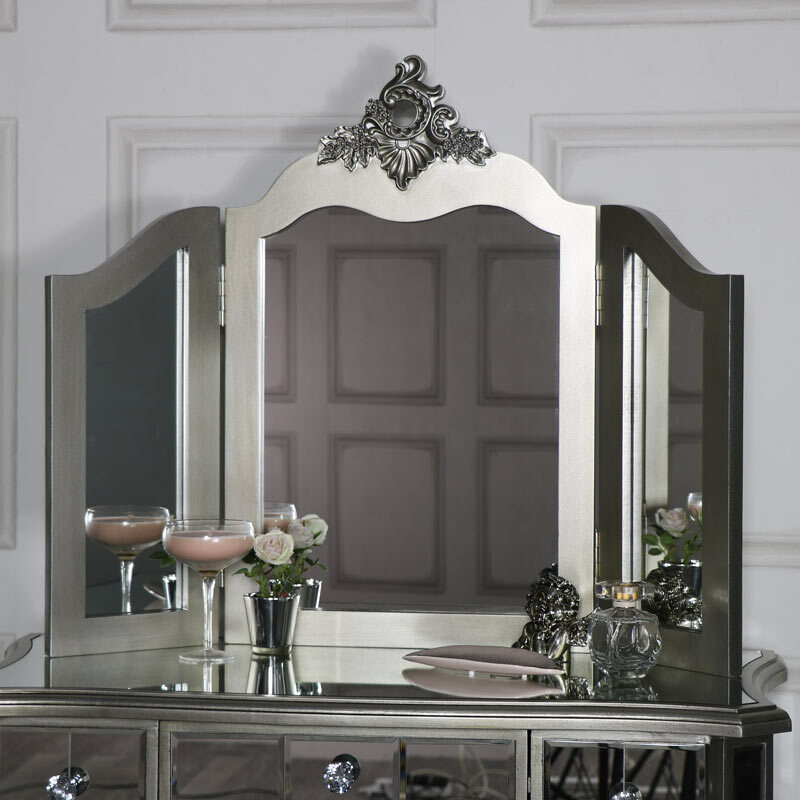 The vanity mirror, in a triple design sits comfortably on top of the table allowing you to get ready in elegant style. 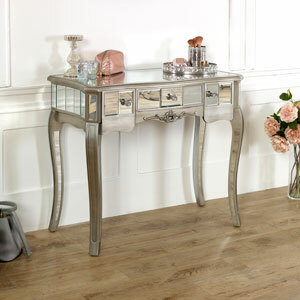 With even more furniture available in our wonderful Tiffany Range. You can fully furnish your home from top to bottom with furniture for your bedroom, living room and hallway. 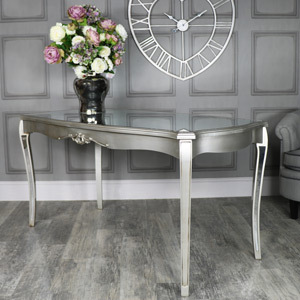 The body of the table and mirror are made from wood, painted in an antiqued silver finish. 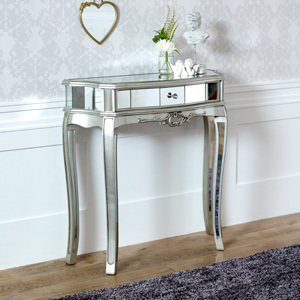 The table features bevelled mirrored panelling. The table will require assembly with just the legs to attach which is quick and easy to do (fixings included). 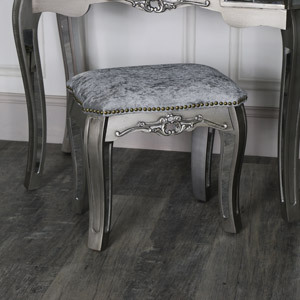 Our Tiffany Range epitomises the classic French style. 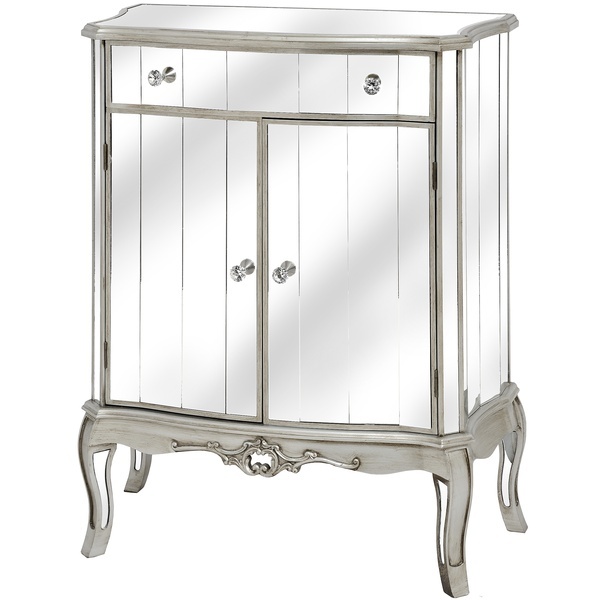 Wonderfully ornate furniture that will help to to create a home with an air of stunning luxury and elegance. The table will require assembly with just the legs to attach which is quick and easy to do (fixings included).